In the uniform game, the IronPigs are viewed as Major League Baseball’s 31st team. 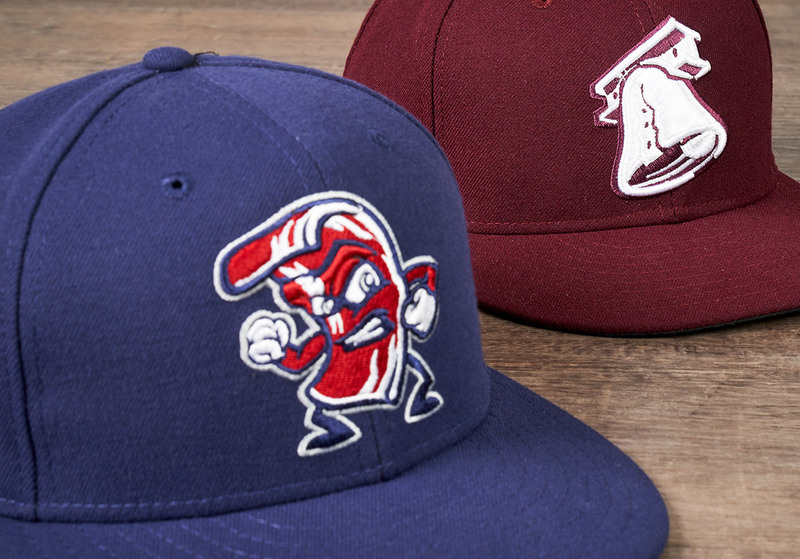 The Pigs are the only minor league club sporting threads from Majestic, MLB’s official uniform provider. The IronPigs have long used their Sundays to pay homage to the Phillies. This brand new Sunday uniform, released just in time for the 2018 season, is a tip of the cap to the 1979 maroon Phillies uniform. You may recognize the “P” in IronPigs as the same one featured on the front of those classic jerseys. 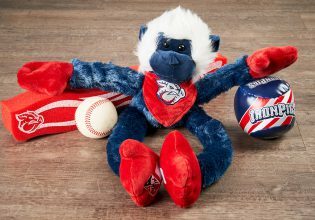 The accompanying cat will feature the same maroon color and the IronPigs’ Liberty Bell logo. 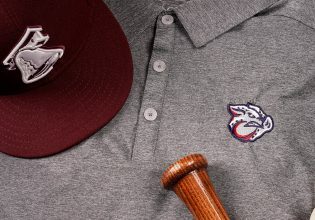 This look was the first change to the IronPigs’ original batting practice jerseys. 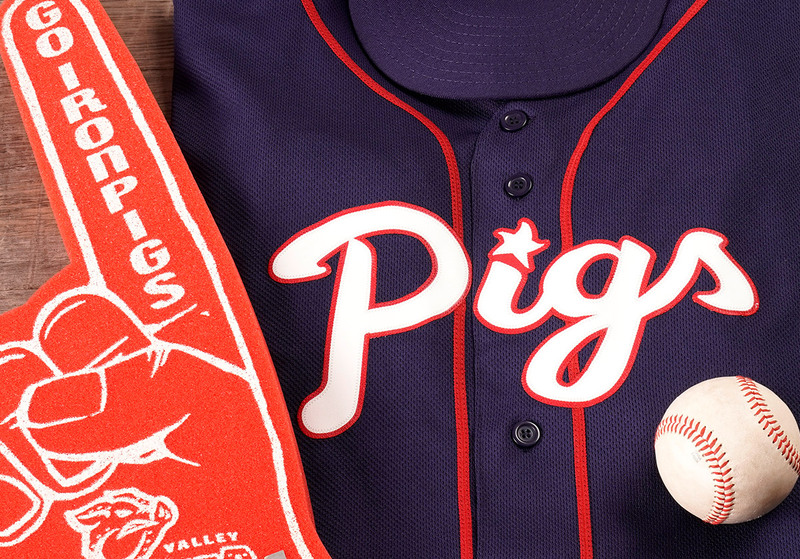 The endearing term “Pigs” appears across the chest in cursive print against a solid blue base. 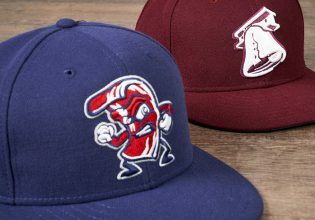 New for 2018: The “Fighting Bacon” cap, which was featured in spots last season, is now part of the daily BP uniform. A timeless classic. 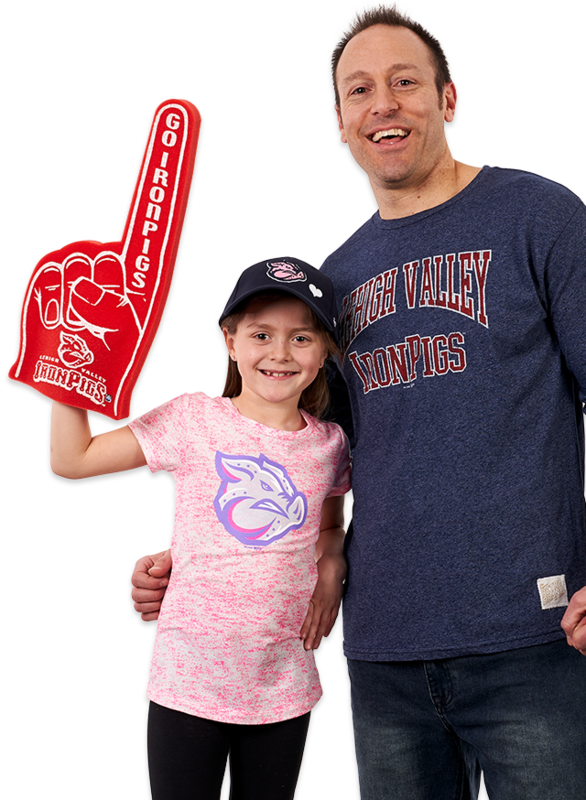 The IronPigs have worn various home whites since their inception and this version is the finest to grace the field at Coca-Cola Park. The all-white base features red trim and a storm-grey “IronPigs” secured across the chest by steel rivets. This look is frequently topped by a blue cap. 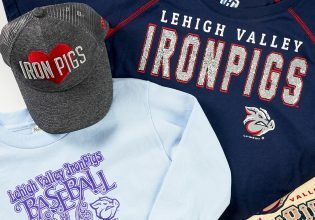 On Fridays, the IronPigs pay tribute to the Lehigh Valley’s rich steelmaking history with a jet black jersey with steel plated lettering with molten red trim, a cap emblazoned with a Molten Red IronPigs logo on and storm grey pants. This black look with electric highlights serves as the ideal complement to post-game Friday Night Fireworks displays at Coca-Cola Park. Saturdays are for the bacon! 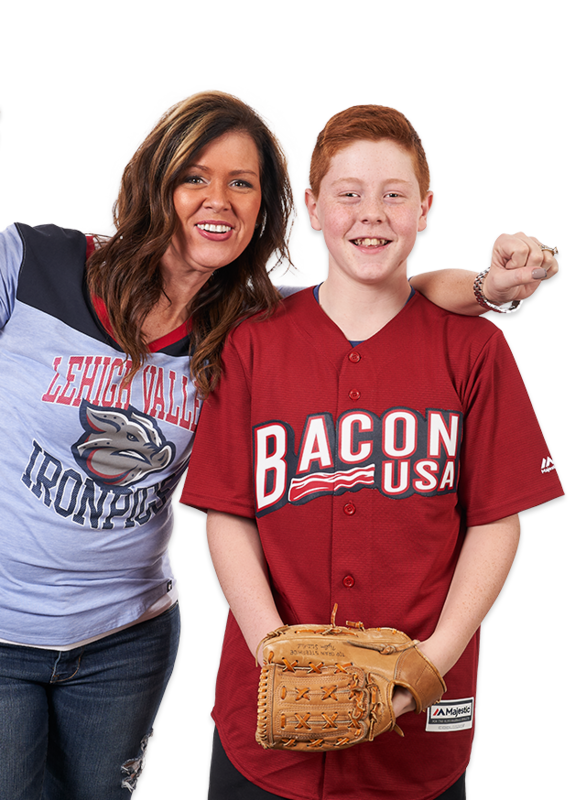 This bacon-themed ensemble, features a brick red uniform with Bacon, USA written across the chest and a secondary logo on the sleeve featuring an outline of the United States divided by a bacon strip and star denoting the Lehigh Valley’s location. The grey pants feature first-of-its-kind bacon-style piping down both legs. The road uniform features a storm-grey pants and jersey combination with “Lehigh Valley” in red block letters with steel rivets across the chess. The all-grey look, which is reminiscent of the team’s original road jersey, features red trim and the classic IronPig head logo on one sleeve. 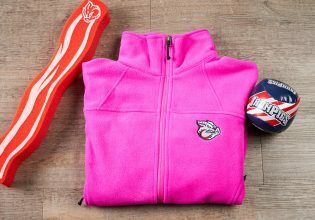 Show off your IronPigs threads and team spirit. #OinkOn! Thank you for viewing LVcheesesteaks.com! 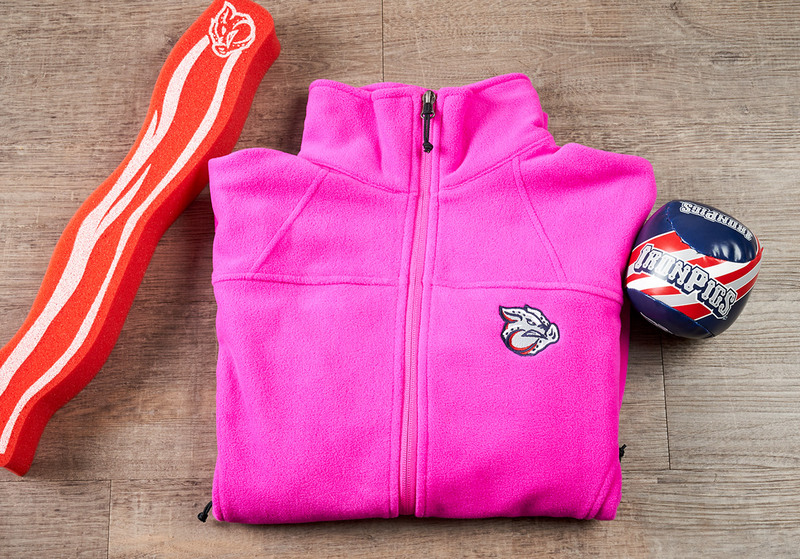 Go Pigs ( and Cheesesteaks)!